I’ve always loved Wallace and Gromit. I remember when the first episode, “The Wrong Trousers” came out – I had it recorded off the tele on VHS! After that, it was generally played on TV every Christmas, and we watched it every time. I was gutted when I heard that the Aardman Animations warehouse had burnt down in 2005, such a shame. I was however, massively excited, when I heard about Gromit Unleashed, and have been really looking forward to doing the trail with Bunny. Gromit Unleashed is an art project, set up to raise money for Bristol children’s hospital via Wallace & Gromits Grand Appeal. 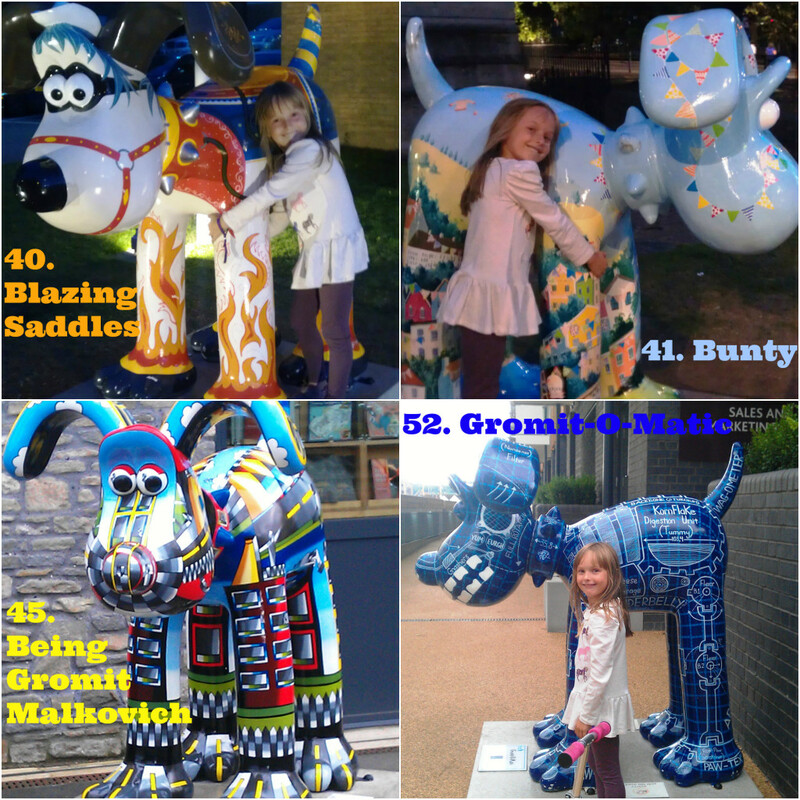 80 five foot Gromit figures have been painted by different designers and planted all across Bristol, at places of interest. Tiny, Fluffy, Bunny and I all went yesterday afternoon, to see how many we could find. 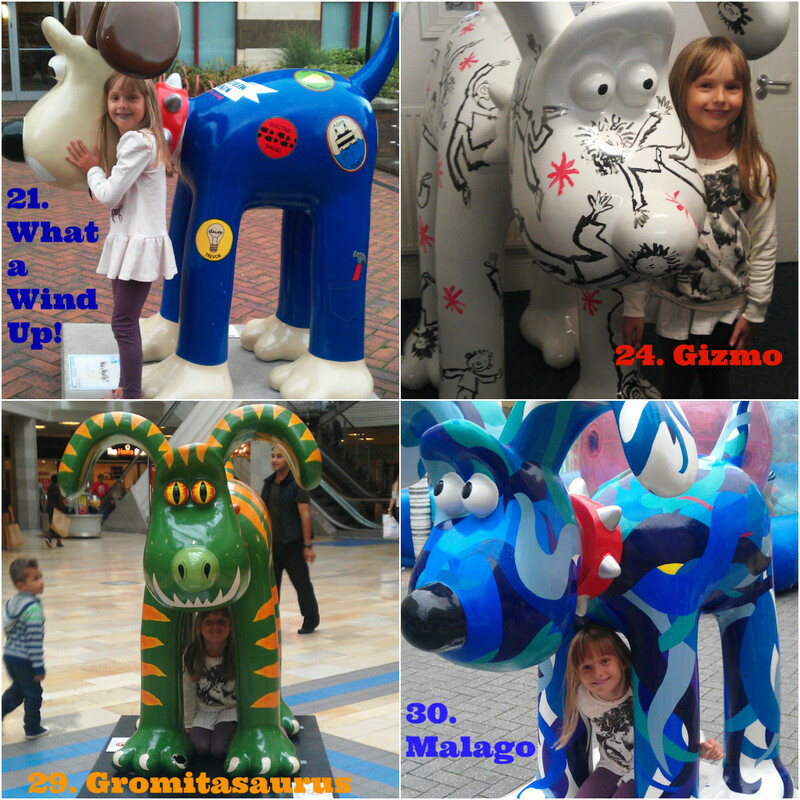 There’s a phone app called “Detect-O-Gromit” which helps you find them, and check them off when you have found them. The app costs 69p, 40p of which goes to the charity, but it is well worth the price. It also gives you virtual medals for “achievements”, depending on which Gromits you find. There’s also a fabulous little shop at the Gromit Unleashed headquarters, opposite the children’s hospital. We went in and bought a mug with lots of the artists Gromits on, a poster of lots of Gromits and two Grand Appeal bracelets. We also picked up a map, as I wanted to save my phone battery for taking photos. We only managed to get two achievements, but I’m quite impressed with our 37 Gromit finds (1 photo didn’t come out). Not bad for an afternoon. Obviously though, we will have to go back and find more, as we are only two away from the “half way” achievement. I think it was very sad that one of the Gromits had been vandalised and removed for repair. Who would do such a thing? There are also little Gromit passports you can get, and at 6 locations on the trail, you can get your passport stamped. This adds even more fun to it for the kids. What I really loved about going Gromit spotting, was that there were so many people doing it, and all friendly and eager to help each other. You could guarantee that anyone holding a trail map, was friendly and happy to chat. We chatted to so many kind strangers, it was lovely. I was also surprised at how many adults were doing the trail without children in tow. I imagine it’s a lot quicker! I will be honest, I’d always had a dim view of Bristol. I know how rough some parts of Bristol are, and it’s not somewhere I’ve ever gone out of choice before, except for clubbing. I was really surprised by how many beautiful places there are in Bristol and even moreso by just how much there is to do there. There are definitely places that I will go back and visit another day. That’s the fabulous thing about Gromit Unleashed. It showcases all the great destinations around Bristol, as well as raising funds for such a great charity, and giving us all a fun day out! It has completely changed my perceptions of the city. Some of the Gromits are indoors, and most places are more than happy to welcome your through the doors! Marriott even let you send a free postcard if you go in for a coffee in their club lounge. It’s important to check the opening hours on the indoor ones. Not that the MShed stuck to their opening hours. We arrived there at 5:45 and they’d already locked the doors, despite advertising that they are open until 6pm on Saturdays. We found the Bristol Museum, the least child friendly, as they don’t make it easy to get in with a pushchair and they told Bunny off, for carrying a scooter, even though she wasn’t riding it. They also asked people with pushchairs to leave their pushchairs in the main entrance, if they wanted to explore the museum. I wasn’t about to carry twins, so we photographed the Gromits and left! I’m sad that Gromit Unleashed is only on for 10 weeks, as it’s absolutely brilliant. It finishes on September 8th 2013. We really did have such a fun day, albeit very tiring. Especially as the tyre on my Mountain Buggy burst, miles from the car! We did also nip to a few Gromit’s in the car in the evening, but that was short lived, as once it got dark, I couldn’t photograph them! I can only apologise for the rubbish photos – I have no camera, just a really old phone which has no flash, and blurs unless you stand 100% still and stop breathing to take the photo! 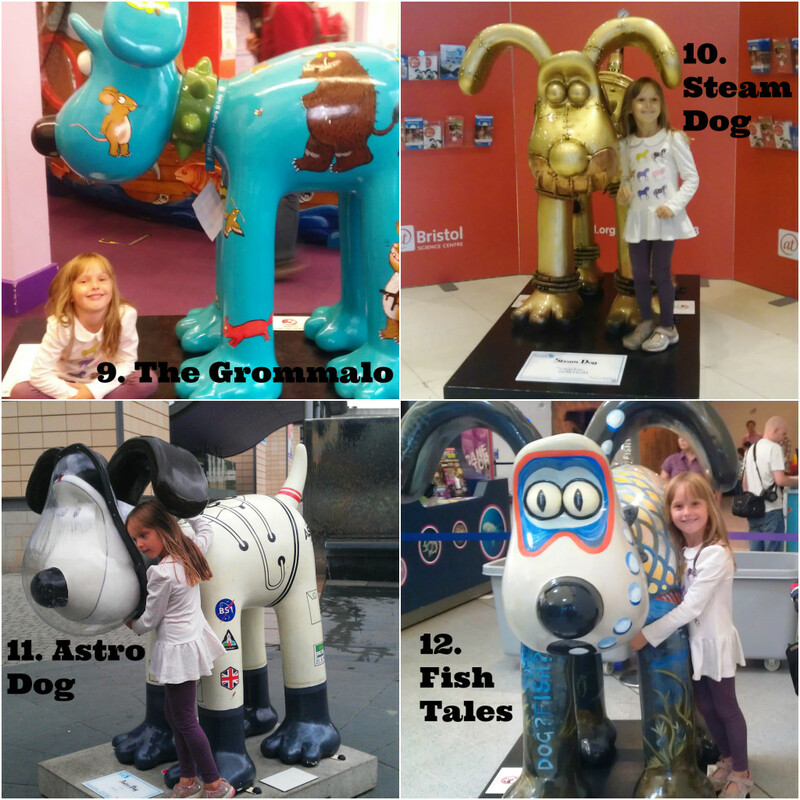 I also found out yesterday, that my friend and fellow blogger Sarah Mum of Three World, has also blogged about going Gromit spotting (and there I was, thinking I’d be first!). 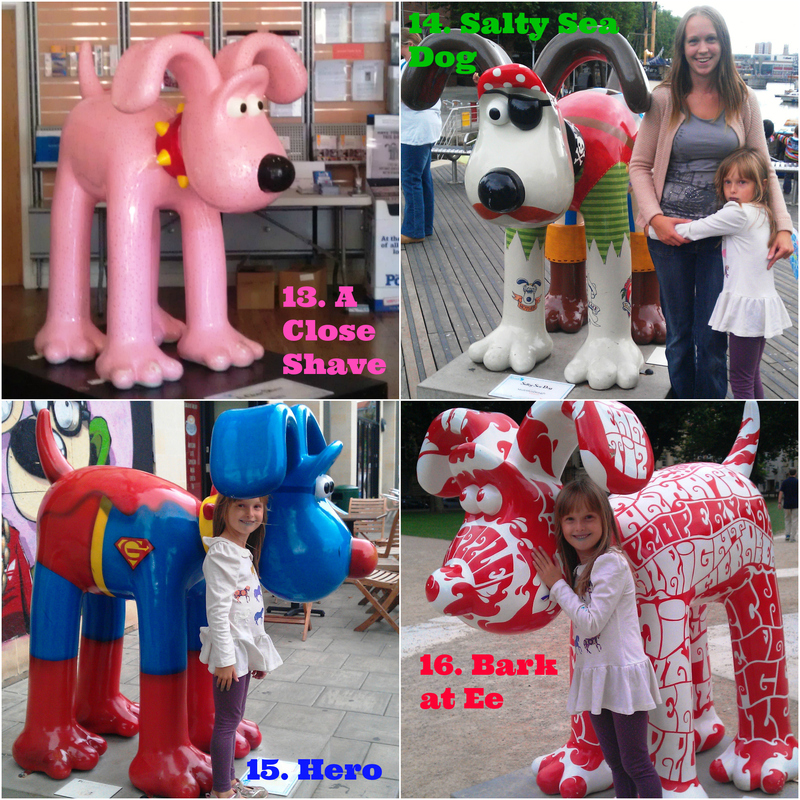 You can read Sarah’s post about Gromit Unleashed by clicking here. This entry was posted in Charity / Awareness, Days out, Family, Games, Holidays, Parenting, Photography, Reviews, Shopping, Toys, Travel, Twins, Uncategorized and tagged 80 Gromit figures, a day out in Bristol, Aardman Animations, Art, Bristol Art, Bristol Childrens Hospital, Family Fun, famiy day out, fun in Bristol, Gromit spotting, Gromit trail, Gromit Unleashed, temporary art project, Wallace and Gromit, Wallace and Gromits Grand Appeal. Bookmark the permalink. That sounds like so much fun! It’s a shame it’s not on for very long though. 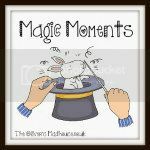 Great post and great photos – even with your crap phone! It’s good to see photos of the Gromits I’d missed. There was a different Gromit broken when we were there 🙁 I must say I loved seeing Bristol too and it looked more beautiful than I expected. YAY YAY YAY!! i absolutely love gromit he is amazing. I am so gutted i live too far away to see this!! 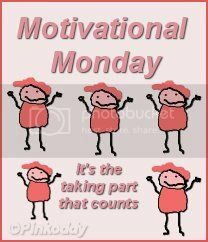 I love this post! We’ve got 17 left – 1 in London we’ll do later in the week, 10 central ones we’ll try and do today and then six in Clifton/Hotwells tomorrow. I’m a bit obsessed! 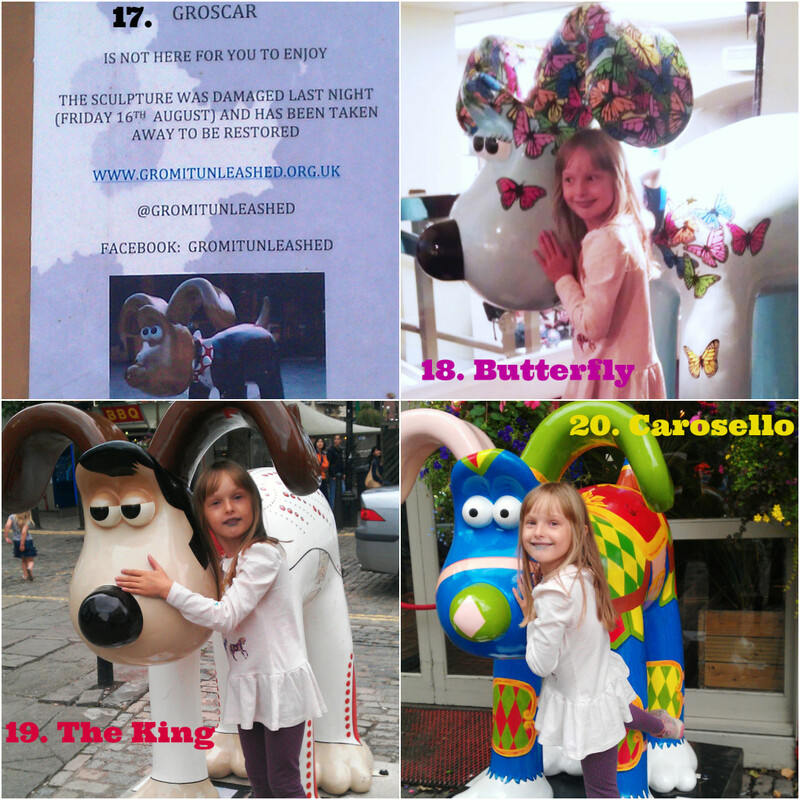 We’ve been doing the Gromit trail this weekend too. Great fun. Children want to cross a few more off the list before school starts again. We’ll see. You did well getting so many in one afternoon. I bet you were knackered by the evening! 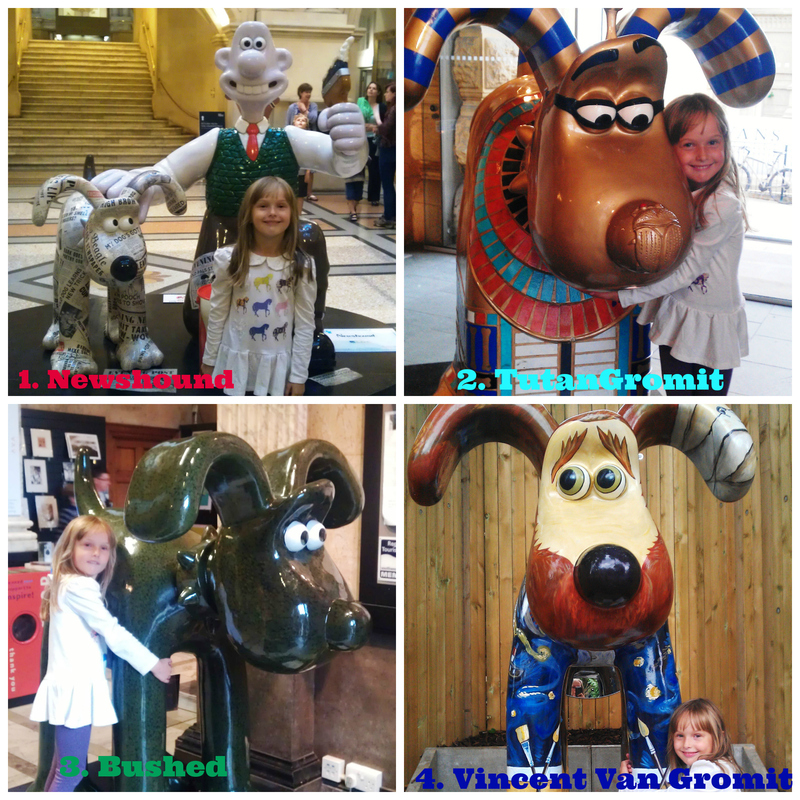 When we were in Bristol last week we also found the ‘Gromit Hunters’ friendly. Everyone waiting their turn to take photos. Bristol does have some good areas, especially the Harbourside and Hotwells. I was disappointed with the Galleries though, it was like a ghost town compared to the busy place I remember. This looks like so much fun! I love your photos, I think my favourite’s Golden Gromit, although it’s hard to choose. When Sarah went I didn’t realise how long it was on for. My second son was born in Bristol and we keep meaning to take the kids back to show them (it’s also where we got married), this sounds such a perfect time to go back – and I could get my last bits of school shopping too. Did you drive there? I did drive there, yes. 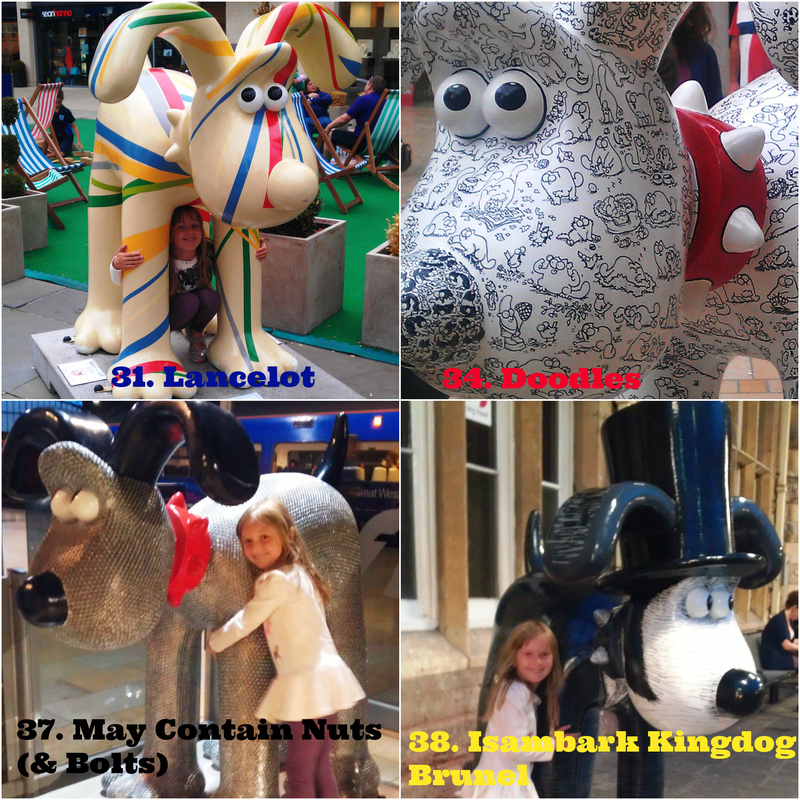 There are 80 Gromits and they are there until September 8th. I’d advise getting the app or picking up a map in the shop (app is more accurate than the map and has GPS tracking). It’s great fun. There are walking trails you can do in city centre and some you can drive to that are further out. We went again today, so we are up to 56 now! We bought the app and found the map was better. I have no idea how many we found atm, but we are desperate to go back (more so now I’ve seen these). GUTTED I didn’t know about it sooner as we have been to London twice since it started (both staying overnight). 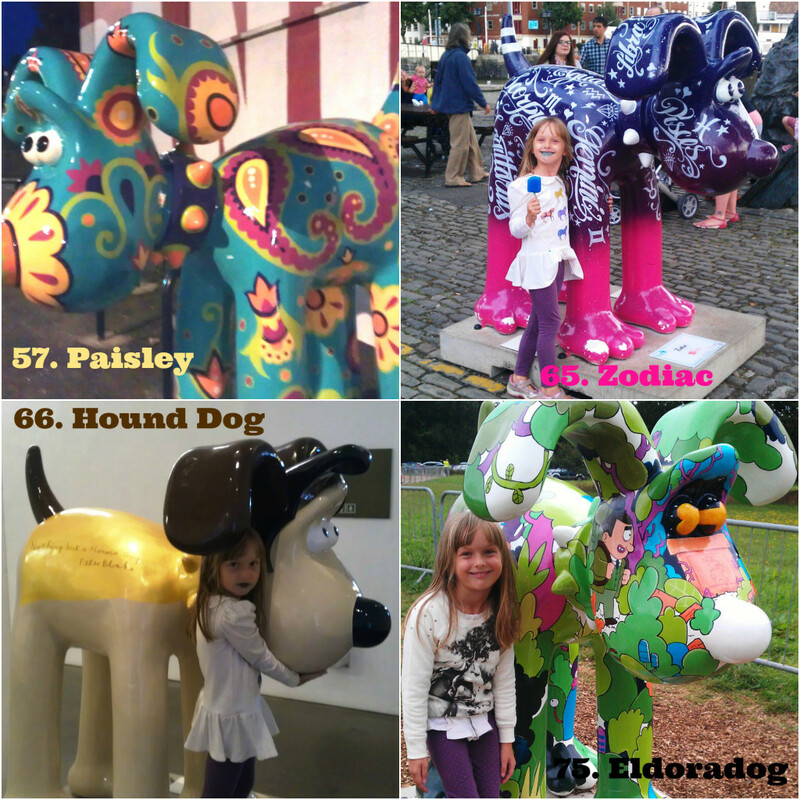 Thank you for numbering your pictures too – fab idea (I may pinch it). The map is quite flawed. It’s not to scale and roads are missing. Be careful relying on that alone. The app maps your GPS to the exact metre of each Gromit. Great if you are nearby but can’t find it! What a lovely, novel way of fundraising! Are there collection boxes by the Gromits – maybe they’re giant moneyboxes! – or is all the fundraising via the apps and sponsorship? 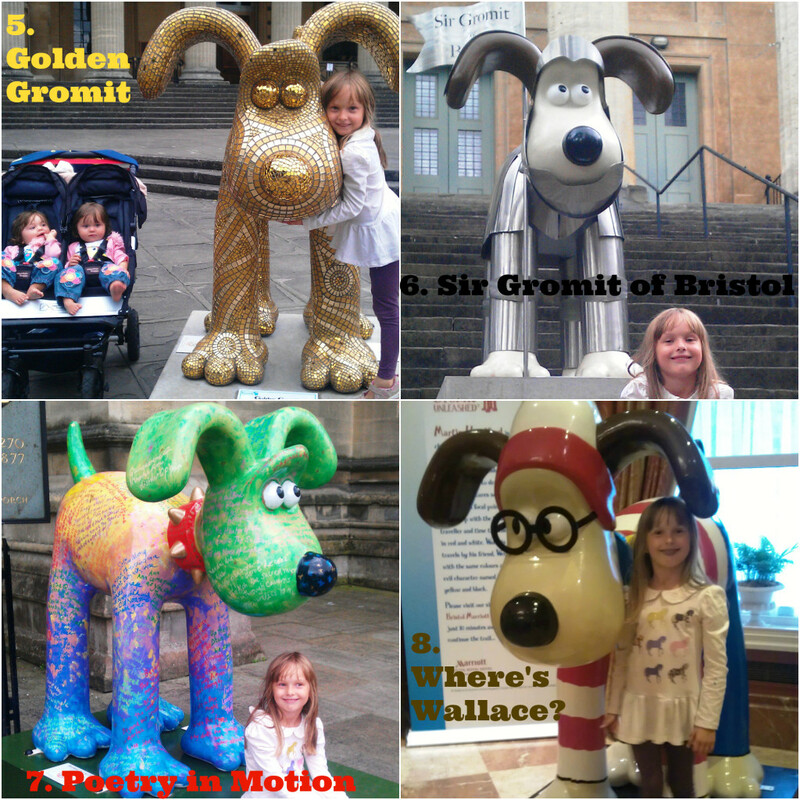 I spent two nights in Bristol while the Gromits were running free and they were so much fun to spot! Elvis cracked me up and so did King Tut!